If a pipe leaks or bursts or if your home gets flooded, it is difficult to view the situation calmly. You likely have so many questions running through your head that it’s hard to sit back and take an objective look at the situation and act in a productive manner. The truth is that water damage may raise your stress level a great deal, but armed with the information below, you’ll be able to address the situation effectively. It’s true—not all water damage is treated equally. If your water damage was caused by a flood, then you need to specify this when you’re contacting your insurance company to make a claim. If you’re suffering from flood damage rather than water damage, your claim will be adjusted differently. 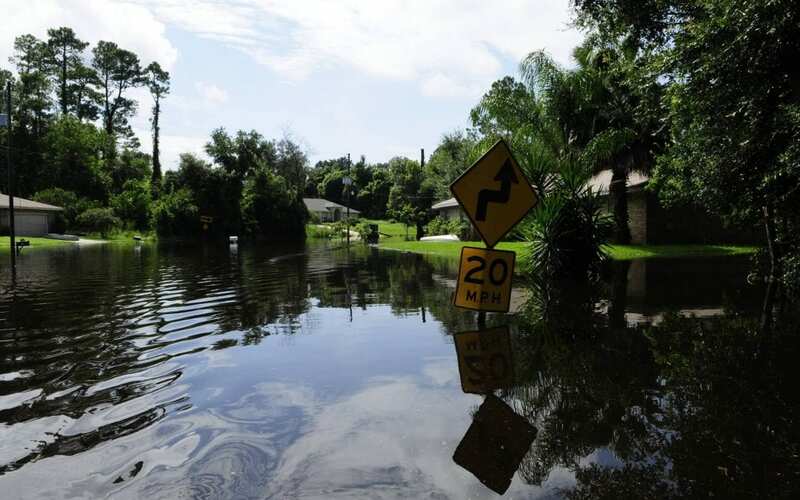 If your area is persistently in danger of flood damage, chances are that you already have a separate policy. You should read your insurance policy and learn about any exclusion to your coverage for water damage. Typically, policies will cover damage that occurs suddenly, such as water damage that is caused by a storm or from a washing machine that overflows. It starts to get tricky if the water damage was caused due to the homeowner’s failure to perform proper maintenance. For example, if you’ve had a leaky pipe that you didn’t deal with or if the water damage happened over a lengthy period of time, it might not be covered by your insurance. A professional home inspection thoroughly checks plumbing systems to help you correct problems before they escalate. Once water damage has occurred, you only have between 24 and 48 hours before mold starts to grow and cause secondary damage that poses serious risks to you and your family’s health, so you need to act quickly when it comes to cleaning up. If mold growth becomes rampant, you may need to contact a mold remediation service in order to eradicate the mold safely. To keep mold from growing in the first place, you’ll need to dry out your home completely within that short window. Find an emergency water extraction and water damage restoration company that has a 24-hour emergency number and contact them so that they can begin removing the water right away. Call your insurance company as soon as you discover water damage. Your insurance agent will be able to begin addressing your claim in a timely manner, and he or she should also be able to help guide you through the process of preventing further damage to your home and property. Many insurance companies can also recommend a water damage restoration company. Keep in mind that this will be your insurer’s preferred company; you can choose any qualified company you want to help you rid your home of excess water. Water damage is divided into three categories that depend on the pollution level of the source of the water that caused the damage. Water may begin as Category 1, which is water from a clean source, but as time progresses the water will become more contaminated and could become Category 2 or Category 3. The more contaminated the water is, the more aggressively your restoration crew will need to be when treating the problem. It could even mean that your soft furniture and your carpet may need to be replaced in order to keep you safe. If you reside in Melbourne, Florida or the surrounding areas, give us a call today to schedule a general home inspection. We’ll tell you about any potential concerns with your plumbing system so you can make the needed repairs before your home is affected by water damage. With advanced Thermal Imaging technology, we use an infrared camera to detect excess moisture and areas of your home that may be vulnerable to water intrusion. You’ll receive a full report with valuable information on the visible and accessible areas of your home the same day as your inspection. Oasis Home Inspections, LLC also specializes in Wind Mitigation Inspections, 4-Point Inspections. and Thermal Imaging.